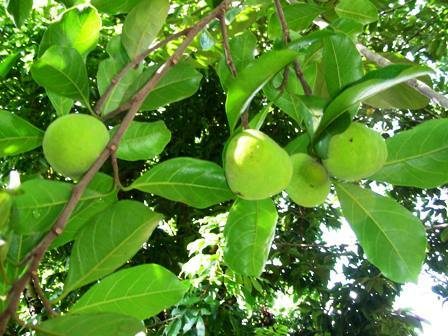 Kwaimuk is a fruit from South East Asia. It seems to originated in Guangdong in China. It is cultivated there and also in Vietnam. Kwaimuk tree bears abundant, plum-sized fruits that have a sweet, citrus-like taste. 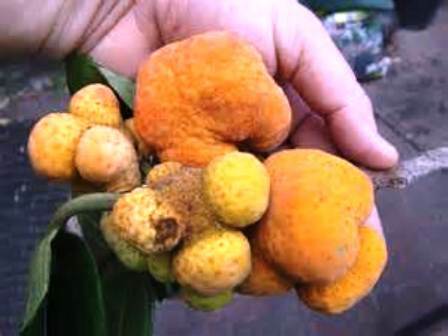 The fruits are kwaimuk are unattractive, rather ugly due to their irregular odd shape. However, they are very delicious to eat. So it is also called “Ugliest fruit with best flavour.” It also has an attractive tree and therefore is suitable for landscaping. Kwaimuk has now also been introduced into Australia and Florida. A slender evergreen tree, 6-15 m tall with much milky latex. Leaves dark green, 5-12 cm long. Flowers tiny, yellow, female flowers borne on the same tree; female flowers in 1 cm long globular heads. 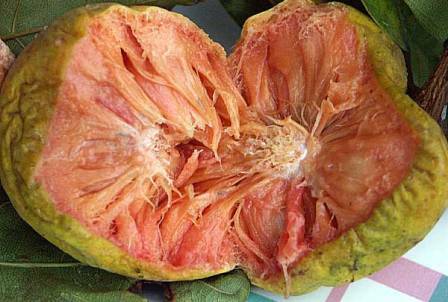 Fruit a multiple syncarp, more or less irregular, 2.5 to 5.0 cm wide, with velvety, brownish, thin, tender skin and replete with latex when unripe; ripe pulp orange red or red, soft, subacid, very good to eat. Seeds 0 – 7, pale. Kwaimuk fruits have an excellent subacid flavour. Their taste is a sweet/tart mix of apricot and citrus These are eaten fresh. The pulp can also be preserved by sun drying. Kwaimuk is a slow growing tree. New plants are raised by seed which take several weeks to geminate. The seedlings are also quite slow growing. 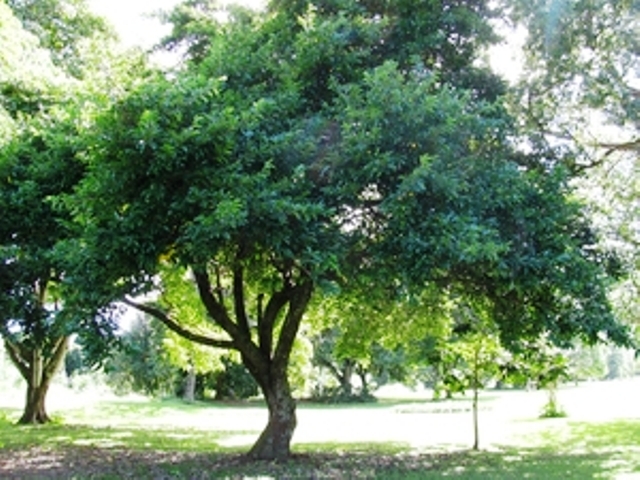 Its trees are not as cold sensitive as jackfruit or breadfruit and can tolerate light frost.